Wherever bodies of water are, people settle, and stories collect. 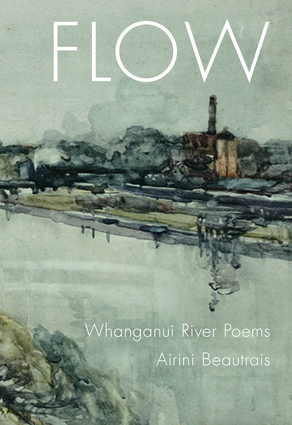 Six generations of poet Airini Beautrais' family have lived near the Whanganui River, the restless, all-encompassing figure at the heart of her fourth collection Flow. Flow is a brilliant polyphony of stories – large, small, geological, ecological, and human – that draw on many forms and voices and move through various stages of human settlement up to the present day. In March 2017, in a world first, the Whanganui River was granted the status of legal personhood. 'This remarkable sequence winds and eddies like the Whanganui River, filtering the region's many histories into something exhilarating and readable. Is verse the future of history?' —James Brown. Airini Beautrais grew up in Auckland and Whanganui. She studied ecological science and creative writing at Victoria University of Wellington, and worked for several years as a science teacher. Her first book Secret Heart (VUP, 2006) was named Best First Book of Poetry in the Montana New Zealand Book Awards 2007; it was followed by Western Line (VUP, 2011) and Dear Neil Roberts (VUP, 2014). She lives in Whanganui.